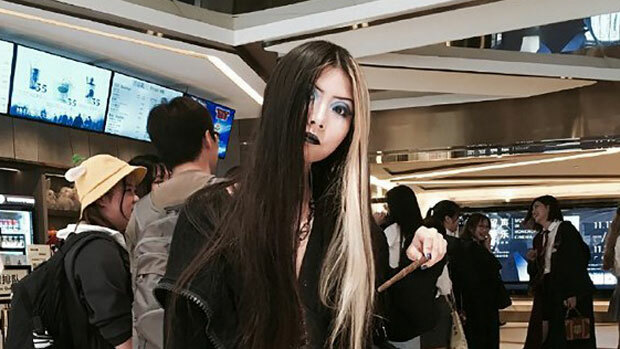 Chinese Goths Rally Behind Woman Stopped on Guangzhou Metro For 'Horror' Make-Up - Integration Through Media ....! “On the basis of which Chinese laws and regulations did you stop me and delay me?” the woman wrote on the Twitter-like social media platform Sina Weibo. “If they want to stop you, they’re gonna stop you; there’s no rhyme nor reason to it,” commented user @yiduanyoubugdedaima, while user @linqianLam wrote: “It’s 2019 — how long since the end of the Qing Dynasty?” in a reference to the end of imperial rule in 1911. Guangzhou-based rights activist Ou Bo said the subway security officers had violated the woman’s rights, and had no basis in law. “There is nothing political about this, and yet she doesn’t even have the right to wear make-up, which is pretty poor when it comes to human rights,” he said.